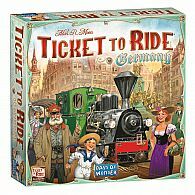 This is an expansion to Ticket to Ride not a standalone game. 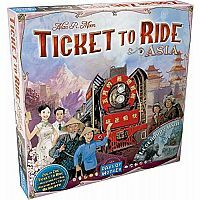 Ticket to Ride Asia is the first volume in the Map Collection. 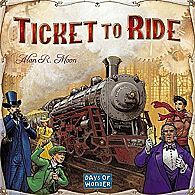 You'll embark on an incredible adventure in Alan R. Moon's Team Asia map. 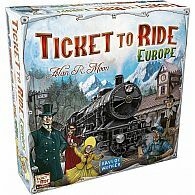 Specifically designed for up to 6 players, you and a partner will team up against other groups on a 25,000 km wild ride from Kabul to Beijing, through the steppes of Mongolia and the Gobi desert up to the Yellow River. 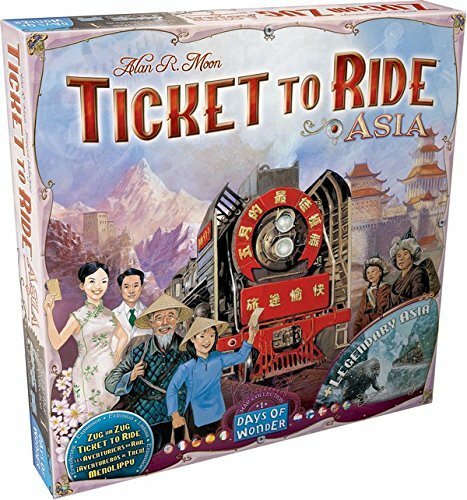 Or, if you prefer the quiet pleasures of traveling alone along the Silk Road, or winding your way through the hustle and bustle of Indochina, venture into Legendary Asia. Just be ready for a hair-raising ride through the Mountain passes of the Himalayas. 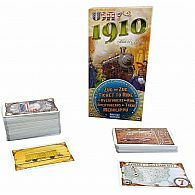 Includes 6 wooden cardholders, plus an additional 45 plastic trains ( 9 each of each of the 5 standard colors) both of which are used for team play.